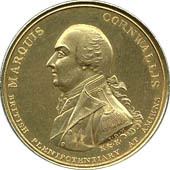 His parents were Elizabeth, and Charles Cornwallis, 1st Earl Cornwallis. He died in 1805 because of a fever. This page was last changed on 13 May 2018, at 18:19.